This document is a compilation of the accrediting standards or approval standards of several governing bodies (listed below) that appear to affect international medical schools. The accreditation or approval process is an attempt by those governing bodies to ensure that educational programs provide assurances that their graduates exhibit professional competencies that are appropriate for entry to the next stage of their training. The standards are arranged in an outline format utilized by the LCME. Where other states or agencies had additional categories, these have been added to the LCME format. Standards from each agency or state are assigned a color and are either copied from the original document(s) found online or from a hard copy document provided by a state and pasted into this document. The documents from which this information is drawn will be attached to this report to provide the opportunity for review to clarify the context of the statements included in this compiled document. [annotation adopted June 2003] To assure ongoing vitality and successful adaptation to the rapidly changing environment of academic medicine, schools need to establish periodic or cyclical institutional planning processes and activities. Planning efforts that have proven successful in medical schools and other professional or business milieus typically involve the definition and periodic reassessment of both short-term and long-range goals for the successful accomplishment of institutional missions. By framing goals in terms of measurable outcomes wherever circumstances permit, a school can more readily track progress towards their achievement. The manner in which a school engages in institutional planning will vary according to available resources and local circumstances, but all schools should be able to document their vision, mission, and goals, evidence indicating their achievement, and strategies for periodic or ongoing reassessment of successes and unmet challenges. IS-2. A medical school should be part of a not-for-profit university or chartered as a not-for-profit institution by the government of the jurisdiction in which it operates. Accreditation will be conferred only on those programs that are legally authorized under applicable law to provide a program of education beyond secondary education. IS-3. If not a component of a regionally accredited institution, a U.S. medical school must achieve institutional accreditation from the appropriate regional accrediting body. The LCME is recognized by the U.S. Department of Education as an accrediting agency for educational programs, specifically for the accreditation of medical education programs leading to the M.D. degree. Because the LCME is not recognized as an institutional accrediting agency, it lacks standing to accredit stand-alone medical schools as institutions of higher education. Institutional accreditation is granted by regional accrediting agencies, and is required to qualify for federal financial assistance programs authorized under Title IV of the Higher Education Act. Some regional accrediting bodies grant "pre-accreditation" as a first step to achieving full accreditation. In such circumstances the attainment of pre-accreditation status would meet the requirements of this standard. IS-4. The manner in which the medical school is organized, including the responsibilities and privileges of administrative officers, faculty, students and committees must be promulgated in medical school or university bylaws. IS-5. The governing board responsible for oversight of the medical school must be composed of persons who have no personal or pecuniary interest or other conflict of interest in the operation of the school, its associated hospitals, or any related enterprises. IS-6. Terms of governing board members should be overlapping and sufficiently long to permit them to gain an understanding of the programs of the medical school. IS-7. Administrative officers and members of a medical school faculty must be appointed by, or on the authority of, the governing board of the medical school or its parent university. IS-8. The chief official of the medical school, who usually holds the title "dean," must have ready access to the university president or other university official charged with final responsibility for the school, and to other university officials as are necessary to fulfill the responsibilities of the dean's office. IS-9. There must be clear understanding of the authority and responsibility for medical school matters among the vice president for health affairs, the dean of the medical school, the faculty, and the directors of the other components of the medical center and university. IS-10. The dean must be qualified by education and experience to provide leadership in medical education, scholarly activity, and care of patients. There should not be excessive turnover or long-standing vacancies in medical school leadership. Medical school leaders include the dean, vice/associate deans, department chairs, and others where a vacancy could negatively impact institutional stability, especially planning for or implementing the educational program. Areas that commonly require administrative support include admissions, student affairs, academic affairs, faculty affairs, graduate education, continuing education, hospital relationships, research, business and planning, and fund raising. Affiliated institutions, the medical school's department heads and senior clinical faculty members must have authority consistent with their responsibility for the instruction of students. The institution shall be organized as a definable academic unit responsible for a resident educational program that leads to the M.D. degree. The manner in which the institution is organized shall be set forth in writing. The administrative and governance system shall allow the institution to accomplish its objectives (i.e. its statements of the items of knowledge, skills, behavior and attitude that students are expected to learn). An institution's governance shall give faculty a formal role in the institution's decision-making process. A student enrolled in the program shall not serve as an instructor, administrator, officer or director of the school. If the institution provides patient care, it shall have a formal system of quality assurance for its patient care program. An institution with more than one campus shall have written policies and procedures governing the division and sharing of administrative and teaching responsibilities between the central administration and faculty, and the administration and faculty at the other locations. These policies shall be consistent with the institution's mission and objectives. The institution shall be fully responsible for the conduct and quality of the educational program at these sites. If an institution operates a branch campus located within the United States or Canada, instruction received at that branch campus shall be deemed to be instruction received and evaluated at that institution. For purposes of this section, the term "branch campus" means a site other than the main location of the institution but does not include any hospital at which only clinical instruction is provided. The medical school is organized as a definable academic unit, responsible for an educational program of not less than 32 months which leads to the M.D. degree or equivalent degree as determined by the Department. The institution is listed in one or more of the generally accepted resource volumes on international education, and its program is legally recognized and approved for the training of physicians by the competent authorities of the jurisdiction in which it is located. A variety of organizational forms are possible and no single organizational pattern is prescribed. The program is recognized, however, by the appropriate civil authorities in the country in which it is located as an acceptable training program for physicians. An administrative and governing system is provided which allows the school to accomplish its objectives. The institution, through its system of governance, must provide mechanisms to assure appropriate process and high quality in the selection, appointment, and promotion of faculty, and for the selection, promotion, and graduation of students. To achieve these ends, there should be clear definitions of the responsibility and authority of all committees, administrators, departmental chairs, and faculty, as well as a clear description of the delegations of authority within the institution. Responsibility for the administration of institutional policies and programs shall be clearly established. Within the authority of its governing board, the institution shall provide that overall educational policy and its implementation are the responsibility of the institution's faculty and academic officers. Other appropriate segments of the institutional community may share in this responsibility in accordance with the norms developed by each institution The institution shall establish, publish, and enforce explicit policies with respect to: academic freedom; the rights and privileges of full-time and part-time faculty and other staff members, working conditions, opportunity for professional development, work load, appointment and reappointment, affirmative action, evaluation of teaching and research, termination of appointment, redress of grievances, and faculty responsibility to the institution; and requirements for admission of students to the institution and to specific curricula, requirements for residence, graduation, awarding of credit, degrees or other credentials, grading, standards of progress, payment of fees of any nature, refunds, withdrawals, standards of conduct, disciplinary measures and redress of grievances. Academic policies applicable to each course, including learning objectives and methods of assessing student achievement, shall be made explicit by the instructor at the beginning of each term. The institution shall provide academic advice to students through faculty or appropriately qualified persons. The institution shall assure that the students are informed at stated intervals of their progress and remaining obligations in the completion of the programs. The institution shall maintain for each student a permanent, complete, accurate, and up-to-date transcript of student achievement at the institution. This document will be the official cumulative records of the student's cumulative achievement. Copies shall be made available at the student's request, in accordance with the institution's stated policies, or to agencies or individuals authorized by law to review such records. The institution shall assure that all educational activities offered as part of a registered curriculum meet the requirements established by statue, the rules of the Regents of this Part, and that whenever and wherever the institution offers courses as part of a registered curriculum, it shall provide adequate academic support services. Exceptions: To achieve particular objectives, an institution may depart from these standards with prior written approval of the Commissioner. Basic standard: Governance structures and functions of the medical school must be defined, including their relationships within the University. Quality development: The governance structures should set out the committee structure, and reflect representation from academic staff, students and other stakeholders. The committee structure would include a curriculum committee with the authority to design and manage the medical curriculum. Relationships within the University and its governance structures should be specified, if the medical school is part of or affiliated to a University. Other stakeholders would include ministries of higher education and health, other representatives of the health care sector and the public. Basic standard: The responsibilities of the academic leadership of the medical school for the medical educational programme must be clearly stated. Quality development: The academic leadership should be evaluated at defined intervals with respect to achievement of the mission and objectives of the school. The medical school must have a clear line of responsibility and authority for the curriculum and its resourcing, including a dedicated educational budget. There should be sufficient autonomy to direct resources, including remuneration of teaching staff, in an appropriate manner in order to achieve the overall objectives of the school. The educational budget would depend on the budgetary practice in each institution and country. The administrative staff of the medical school must be appropriate to support the implementation of the school's educational programme and other activities and to ensure good management and deployment of its resources. The management should include a programme of quality assurance and the management should submit itself to regular review. The medical school must have a constructive interaction with the health and health-related sectors of society and government. The collaboration with partners of the health sector should be formalised. The health sector would include the health care delivery system, whether public or private, medical research institutions, etc. The health-related sector would, depending on issues and local organisation, include institutions and regulating bodies with implications for health promotion and disease prevention (e.g. with environmental, nutritional and social responsibilities). The medical school must as a dynamic institution initiate procedures for regular reviewing and updating of its structure and functions and must rectify documented deficiencies. Adaptation of the mission and objectives of the medical school to the scientific, socio-economic and cultural development of the society. Modification of the required competencies of the graduating students in accordance with documented needs of the environment graduates will enter. The modification shall include the clinical skills and public health training and involvement in patient care appropriate to responsibilities encountered upon graduation. Adaptation of the curricular model and instructional methods to ensure that these are appropriate and relevant. assure that new relevant knowledge, concepts and methods are included and outdated ones discarded. Development of assessment principles, and the methods and the number of examinations according to changes in educational objectives and learning goals and methods. Adaptation of student recruitment policy and selection methods to changing expectations and circumstances, human resource needs, changes in the premedical education system and the requirements of the educational programme. Adaptation of recruitment and staffing policy regarding the academic staff according to changing needs of the medical school. Refinement of the process of programme monitoring and evaluation. Development of the organisational structure and management principles in order to cope with changing circumstances and needs of the medical school and, over time, accommodating to the interests of the different groups of stakeholders. IS-12. A medical school should be a component of a university offering other graduate and professional degree programs that contribute to the academic environment of the medical school. There should be regular and formal review of all graduate and professional programs in which medical school faculty participate, to foster adherence to high standards of quality in education, research, and scholarship, and to facilitate the progress and achievement of the trainees. In order to link medical student education to the later stages of the medical education continuum, medical students should spend time in settings where graduate and continuing medical education programs are present. It is expected that medical students will participate, where appropriate, in the activities associated with these programs. The graduate and continuing medical education programs at training sites where medical students are located should be accredited by the appropriate accrediting bodies. IS-13. The program of medical education leading to the M.D. degree must be conducted in an environment that fosters the intellectual challenge and spirit of inquiry appropriate to a community of scholars. IS-14. Students should have the opportunity to participate in research and other scholarly activities of the faculty. IS-15. All medical school faculty members should work closely together in teaching, research, and health care delivery. Because the education of both medical students and graduate physicians requires an academic environment that provides close interaction among faculty members, those skilled in teaching and research in the basic sciences must maintain awareness of the relevance of their disciplines to clinical problems. Conversely, clinicians must maintain awareness of the contributions that basic sciences bring to the understanding of clinical problems. These reciprocal obligations emphasize the importance of collegiality among medical school faculty across disciplinary boundaries and throughout the continuum of medical education. The medical school must have a policy that fosters the relationship between research and education and must describe the research facilities and areas of research priorities at the institution. The medical school must have a policy on the use of educational expertise in planning medical education and in development of teaching methods. There should be access to educational experts and evidence demonstrated of the use of such expertise for staff development and for research in the discipline of medical education. education unit at the institution or be acquired from another national or international institution. Medical education research investigates the effectiveness of teaching and learning methods, and the wider institutional context. The medical school must have a policy for collaboration with other educational institutions and for the transfer of educational credits. Transfer of educational credits can be facilitated through active programme coordination between medical schools. Other educational institutions would include other medical schools or public health schools, other faculties, and institutions for education of other health and health-related professions. The institution shall have a clearly stated written purpose or mission statement and objectives that include: (A) The institution's broad expectations concerning the education students will receive; (B) The role of research as an integral component of its mission, including the importance, nature, objectives, processes and evaluation of research in medical education and practice; and (C) Teaching, patient care, and service to the community. The institution shall have institutional objectives that are consistent with preparing graduates to provide competent medical care. The medical school must define its mission and objectives and make them known to its constituency. The mission statements and objectives must describe the educational process resulting in a medical doctor competent at a basic level, with an appropriate foundation for further training in any branch of medicine and in keeping with the roles of doctors in the health care system. The mission and objectives should encompass social responsibility, research attainment, community involvement, and address readiness for postgraduate medical training. Statements of mission and objectives would include general and specific issues relevant to institutional, national and regional policy. 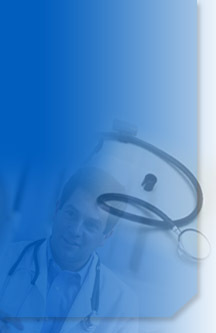 Any branch of medicine refers to all types of medical practice and medical research. Postgraduate medical training would include preregistration training, vocational training, specialist training and continuing medical education/professional development. The mission statement and objectives of a medical school must be defined by its principal stakeholders. Formulation of mission statements and objectives should be based on input from a wider range of stakeholders. Principal stakeholders would include the dean, members of the faculty board/council, the university, governmental authorities and the profession. A wider range of stakeholders would include representatives of academic staff, students, the community, education and health care authorities, professional organisations and postgraduate educators. There must be a policy for which the administration and faculty/academic staff of the medical school are responsible, within which they have freedom to design the curriculum and allocate the resources necessary for its implementation. The contributions of all academic staff should address the actual curriculum and the educational resources should be distributed in relation to the educational needs. NOTE: If an accrediting body is accrediting multiple schools that use a common core clinical clerkship site, where that site has a single coordinator responsible for the educational experience of students from the multiple schools, and where the accrediting body, whenever it visits that site, interviews students from all schools, then that site does not need to be visited more than once during the accredited period. The Division of Licensing shall approve programs of supervised clinical training in hospitals for the purpose of providing basic clinical training to students who are graduates of foreign medical schools or have completed all the formal requirements for graduation except for internship or social service and who intend to apply for licensure as a physician and surgeon pursuant to Section 2103. Such programs shall be under the direction of approved medical schools. the medical school is chartered by the jurisdiction in which it is domiciled and meets the standards set forth in subsection (b). The institution shall maintain and make available for inspection any records that relate to the institution's compliance with this section for at least five years, except, however, that student transcripts shall be retained indefinitely. ED-1. The medical school faculty must define the objectives of its educational program. Educational objectives are statements of the items of knowledge, skills, behaviors, and attitudes that students are expected to exhibit as evidence of their achievement. They are not statements of mission or broad institutional purpose, such as education, research, health care, or community service. Educational objectives state what students are expected to learn, not what is to be taught. Student achievement of these objectives must be documented by specific and measurable outcomes (e.g., measures of basic science grounding in the clinical years, USMLE results, performance of graduates in residency training, performance on licensing examinations, etc.). National norms should be used for comparison whenever available. There are several widely recognized definitions of the characteristics appropriate for a competent physician, including the physician attributes described in the AAMC's Medical School Objectives Projects, the general competencies of physicians resulting from the collaborative efforts of the ACGME and ABMS, and the physician roles summarized in the CanMEDS 2000 report of the Royal College of Physicians and Surgeons of Canada. To comply with this standard, a school should be able to demonstrate how its institutional learning objectives facilitate the development of such general attributes of physicians. A school may establish other objectives appropriate to its particular missions and context. ED-2. The objectives for clinical education must include quantified criteria for the types of patients (real or simulated), the level of student responsibility, and the appropriate clinical settings needed for the objectives to be met. ED-3. The objectives of the educational program must be made known to all medical students and to the faculty, residents, and others with direct responsibilities for medical student education. Among those who should exhibit familiarity with the overall objectives for the education of medical students are the dean and the academic leadership of clinical affiliates where the educational program takes place. ED-4. The program of medical education leading to the M.D. degree must include at least 130 weeks of instruction. The total number of hours of all courses shall consist of a minimum of 4,000 hours. ED-5. The medical faculty must design a curriculum that provides a general professional education, and fosters in students the ability to learn through self-directed, independent study throughout their professional lives. ED-6. The curriculum must incorporate the fundamental principles of medicine and its underlying scientific concepts; allow students to acquire skills of critical judgment based on evidence and experience; and develop students' ability to use principles and skills wisely in solving problems of health and disease. ED-7. It must include current concepts in the basic and clinical sciences, including therapy and technology, changes in the understanding of disease, and the effect of social needs and demands on care. ED-8. There must be comparable educational experiences and equivalent methods of evaluation across all alternative instructional sites within a given discipline. Compliance with this standard requires that educational experiences given at alternative sites be designed to achieve the same educational objectives. Course duration or clerkship length must be identical, unless a compelling reason exists for varying the length of the experience. The instruments and criteria used for student evaluation, as well as policies for the determination of grades, should be the same at all alternative sites. The faculty who teach at various sites should be sufficiently knowledgeable in the subject matter to provide effective instruction, with a clear understanding of the objectives of the educational experience and the evaluation methods used to determine achievement of those objectives. Opportunities to enhance teaching and evaluation skills should be available for faculty at all instructional sites. While the types and frequency of problems or clinical conditions seen at alternate sites may vary, each course or clerkship must identify any core experiences needed to achieve its objectives, and assure that students received sufficient exposure to such experiences. Likewise, the proportion of time spent in inpatient and ambulatory settings may vary according to local circumstance, but in such cases the course or clerkship director must assure that limitations in learning environments do not impede the accomplishment of objectives. To facilitate comparability of educational experiences and equivalency of evaluation methods, the course or clerkship director should orient all participants, both teachers and learners, about the educational objectives and grading system used. This can be accomplished through regularly scheduled meetings between the director of the course or clerkship and the directors of the various sites that are used. The course/clerkship leadership should review student evaluations of their experiences at alternative sites to identify any persistent variations in educational experiences or evaluation methods. ED-9. The LCME must be notified of plans for major modification of the curriculum. Notification should include the explicitly-defined goals of the change, the plans for implementation, and the methods that will be used to evaluate the results. Planning for curriculum change should consider the incremental resources that will be required, including physical facilities and space, faculty/resident effort, demands on library facilities and operations, information management needs, and computer hardware. In view of the increasing pace of discovery of new knowledge and technology in medicine, the LCME encourages experimentation that will increase the efficiency and effectiveness of medical education. ED-10. The curriculum must include behavioral and socioeconomic subjects, in addition to basic science and clinical disciplines. Lists of subjects widely recognized as important components of the general professional education of a physician are included in the medical education database completed in preparation for full accreditation surveys, and in the LCME Part II Annual Medical School Questionnaire. Depth of coverage of the individual topics will depend on the school's educational goals and objectives. ED-11. It must include the contemporary content of those disciplines that have been traditionally titled anatomy, biochemistry, genetics, physiology, microbiology and immunology, pathology, pharmacology and therapeutics, and preventive medicine. ED-12. Instruction within the basic sciences should include laboratory or other practical exercises that entail accurate observations of biomedical phenomena and critical analyses of data. ED-13. Clinical instruction must cover all organ systems, and include the important aspects of preventive, acute, chronic, continuing, rehabilitative, and end-of-life care. ED-14. Clinical experience in primary care must be included as part of the curriculum. ED-15. The curriculum should include clinical experiences in family medicine, internal medicine, obstetrics and gynecology, pediatrics, psychiatry, and surgery. Schools that do not require clinical experience in one or another of these disciplines must ensure that their students possess the knowledge and clinical abilities to enter any field of graduate medical education. ED-16. Students' clinical experiences must utilize both outpatient and inpatient settings. ED-17. Educational opportunities must be available in multidisciplinary content areas, such as emergency medicine and geriatrics, and in the disciplines that support general medical practice, such as diagnostic imaging and clinical pathology. ED-18. The curriculum must include elective courses to supplement required courses. While electives permit students to gain exposure to and deepen their understanding of medical specialties reflecting their career interests, they should also provide opportunities for students to pursue individual academic interests. ED-19. There must be specific instruction in communication skills as they relate to physician responsibilities, including communication with patients, families, colleagues, and other health professionals. ED-20. The curriculum must prepare students for their role in addressing the medical consequences of common societal problems, for example, providing instruction in the diagnosis, prevention, appropriate reporting, and treatment of violence and abuse. ED-23. A medical school must teach medical ethics and human values, and require its students to exhibit scrupulous ethical principles in caring for patients, and in relating to patients' families and to others involved in patient care. Each school should assure that students receive instruction in appropriate medical ethics, human values, and communication skills before engaging in patient care activities. As students take on increasingly more active roles in patient care during their progression through the curriculum, adherence to ethical principles should be observed and evaluated, and reinforced through formal instructional efforts. In student-patient interactions there should be a means for identifying possible breaches of ethics in patient care, either through faculty/resident observation of the encounter, patient reporting, or some other appropriate method. "Scrupulous ethical principles" imply characteristics like honesty, integrity, maintenance of confidentiality, and respect for patients, patients' families, other students, and other health professionals. The school's educational objectives may identify additional dimensions of ethical behavior to be exhibited in patient care settings. The structure and content of the educational program shall provide an adequate foundation in the basic and clinical sciences and shall enable students to learn the fundamental principles of medicine, to acquire critical judgment skills, and to use those principles and skills to provide competent medical care. Note 1: Medical schools that do not require clinical experience in one or another of the above disciplines must ensure that their students possess the knowledge and clinical abilities to enter any field of graduate medical education. Note 2: Clinical instruction must cover all organ systems and include aspects of acute, chronic, continuing, preventive, and rehabilitative care. Note 3: The medical school's program of clinical instruction must be designed to equip students with the knowledge, skills, attitudes, and behaviors necessary for further training in the practice of medicine. Note 4: Instruction and experience in patient care must be provided in both ambulatory and hospital settings. Note 5: Each required clinical clerkship (or equivalent) must allow the student to undertake thorough study of a series of selected patients having the major and common types of disease problems represented in the clerkship. Alcoholism and other chemical substance dependency, detection and treatment. Anatomy, including embryology, histology, and neuroanatomy. Child abuse detection and treatment. Pain management and end-of-life care. Spousal or partner abuse detection and treatment. The requirement that an applicant successfully complete a medical curriculum that provides instruction in pain management and end-of-life care shall only apply to a person entering medical school on or after June 1, 2000.
psychiatry shall total a minimum of 40 weeks in length with a minimum of eight weeks instruction in surgery, eight weeks in medicine, six weeks in pediatrics, six weeks in obstetrics and gynecology, a minimum of four weeks in family medicine, and four weeks in psychiatry. Has an approved residency program in family practice or in the clinical area of the instruction for which credit is being sought. given only in the subject areas covered by the affiliation agreement. osteopathic medicine located outside the United States or Canada. contract detailing the relationship between the medical school, or a school of osteopathic medicine, and hospital and the responsibilities of each. The school and hospital shall provide to the division a description of the clinical program. The description shall be in sufficient detail to enable the division to determine whether or not the program provides students an adequate medical education. The division shall approve the program if it determines that the program provides an adequate medical education. If the division does not approve the program, it shall provide its reasons for disapproval to the school and hospital in writing specifying its findings about each aspect of the program that it considers to be deficient and the changes required to obtain approval. The hospital, if located in the United States, shall be accredited by the Joint Commission on Accreditation of Hospitals, and if located in another country, shall be accredited in accordance with the law of that country. The clinical instruction shall be supervised by a full-time director of medical education, and the head of the department for each core clinical course shall hold a full-time faculty appointment of the medical school or school of osteopathic medicine and shall be board certified or eligible, or have an equivalent credential in that specialty area appropriate to the country in which the hospital is located. The clinical instruction shall be conducted pursuant to a written program of instruction provided by the school. on a regular basis, documenting the level and extent of its supervision. The hospital-based faculty shall evaluate each student on a regular basis and shall document the completion of each aspect of the program for each student. The hospital shall ensure a minimum daily census adequate to meet the instructional needs of the number of students enrolled in each course area of clinical instruction, but not less than 15 patients in each course area of clinical instruction. The division, in reviewing the application of a foreign medical graduate, may require the applicant to submit a description of the clinical program, if the division has not previously approved the program, and may require the applicant to submit documentation to demonstrate that the applicant's clinical training met the requirements of this subdivision. bear the reasonable cost of any site inspection by the division or its agents necessary to determine whether the clinical program offered is in compliance with this subdivision. The requirement of four weeks of clinical course instruction in family medicine shall apply only to those applicants for licensure who graduate from medical school or a school of osteopathic medicine after May 1, 1998. This section shall become operative on June 30, 1999.
on or after September 1, 1979.
who matriculate on or after September 1, 1985. The requirements that instruction in spousal or partner abuse detection and treatment be provided shall apply only to applicants who matriculate on or after September 1, 1994. The requirement for coursework in spousal or partner abuse detection and treatment shall be satisfied by, and the board shall accept in satisfaction of the requirement, a certification from the chief academic officer of the educational institution from which the applicant graduated that the required coursework is included within the institution's required curriculum for graduation. A complete educational program is maintained, the structure and content of which provide an adequate foundation in the basic and clinical sciences. Since there is no single undergraduate curriculum that can best be prescribed for medical education, each educational program must include a system for assuring that all portions of the program include sufficient instruction in the necessary subjects as well as opportunities for integrating the basic science portion of the program and all clinical experiences. Contained within this structure must be a system for establishing and monitoring all clinical rotations in a satisfactory manner. In addition to the requirements of Section 53.3 of this subchapter, the objectives of each curriculum and its courses shall be well defined in writing. Course descriptions shall clearly state the subject matter and the requirements of each course. For each curriculum, the institution shall assure that courses will be offered with sufficient frequency to enable students to complete the program within the minimum time for completion, in accordance with paragraph (6)-(10) of this subdivision. A semester hour may be granted by an institution for fewer hours of instruction and study than those specified in subdivision (o) of section 50.1 of this Subchapter only when approved by the Commissioner as part of a registered curriculum; or when the Commissioner has granted prior approval for the institution to maintain a statement of academic standards that defines the consideration which establish equivalency of instruction and study and such statement has been adopted by the institution. The institution shall ensure that credit is granted only to students who have achieved the stated objectives in each credit-bearing learning activity. In addition to the requirements of this section, a program designed to fulfill in part the requirements for licensure in a profession regulated by the Title VIII of the Education Law, shall also meet such requirements as may be established by statute, by rules of the Regents, or by any other section of this Part. The curriculum and instructional methods should ensure that students have responsibility for their learning process and should prepare them for lifelong, self-directed learning. Curriculum models would include models based on discipline, system, problem and community, etc. Instructional methods encompass teaching and learning methods. The curriculum and instructional methods should be based on sound learning principles and should foster the ability to participate in the scientific development of medicine as professionals and future colleagues. The medical school must teach the principles of scientific method and evidence-based medicine, including analytical and critical thinking, throughout the curriculum. The curriculum should include elements for training students in scientific thinking and research methods. Training in scientific thinking and research methods may include the use of elective research projects to be conducted by medical students. The medical school must identify and incorporate in the curriculum the contributions of the basic biomedical sciences to create understanding of the scientific knowledge, concepts and methods fundamental to acquiring and applying clinical science. The contributions in the curriculum of the biomedical sciences should be adapted to the scientific, technological and clinical developments as well as to the health needs of society. The basic biomedical sciences would - depending on local needs, interests and traditions - typically include anatomy, biochemistry, physiology, biophysics, molecular biology, cell biology, genetics, microbiology, immunology, pharmacology, pathology, etc. The medical school must identify and incorporate in the curriculum the contributions of the behavioural sciences, social sciences, medical ethics and medical jurisprudence that enable effective communication, clinical decision making and ethical practices. The contributions of the behavioural and social sciences and medical ethics should be adapted to scientific developments in medicine, to changing demographic and cultural contexts and to health needs of society. Behavioural and social sciences would - depending on local needs, interests and traditions - typically include medical psychology, medical sociology, biostatistics, epidemiology, hygiene and public health and community medicine etc. The behavioural and social sciences and medical ethics should provide the knowledge, concepts, methods, skills and attitudes necessary for understanding socio-economic, demographic and cultural determinants of causes, distribution and consequences of health problems. The medical school must ensure that students have patient contact and acquire sufficient clinical knowledge and skills to assume appropriate clinical responsibility upon graduation. Every student should have early patient contact leading to participation in patient care. The different components of clinical skills training should be structured according to the stage of the study programme. The clinical sciences would - depending on local needs, interests and traditions - typically include internal medicine (with subspecialties), surgery (with subspecialties), anaesthesiology, dermatology & venereology, diagnostic radiology, emergency medicine, general practice/family medicine, geriatrics, gynecology & obstetrics, laboratory medicine, neurology, neurosurgery, oncology & radiotherapy, ophthalmology, orthopaedic surgery, oto-rhino-laryngology, paediatrics, pathological anatomy, physiotherapy & rehabilitation medicine and psychiatry, etc. Clinical skills include history taking, physical examination, procedures and investigations, emergency practices and communication and team leadership skills. Appropriate clinical responsibility would include health promotion, disease prevention and patient care. Participation in patient care would include relevant community experience and teamwork with other health professions. The medical school must describe the content, extent and sequencing of courses and other curricular elements, including the balance between the core and optional content, and the role of health promotion, preventive medicine and rehabilitation in the curriculum, as well as the interface with unorthodox, traditional or alternative practices. Basic sciences and clinical sciences should be integrated in the curriculum. Core and optional content refers to a curriculum model with a combination of compulsory elements and electives or special options. The ratio between the two components can vary. Integration of disciplines would include both horizontal (concurrent) and vertical (sequential) integration of curricular components. A curriculum committee must be given the responsibility and authority for planning and implementing the curriculum to secure the objectives of the medical school. The authority of the curriculum committee would include supremacy over specific departmental and subject interests, and the control of the curriculum within existing rules and regulations as defined by the governance structure of the institution and governmental authorities. Other stakeholders would include other participants in the educational process, representatives of other health professions or other faculties in the University. Operational linkage must be assured between the educational programme and the subsequent stage of training or practice that the student will enter after graduation. Subsequent stages of training would include pre-registration training, and specialist training. Operational linkage would imply clear definition and description of the elements and their interrelations in the various stages of training and practice, and should pay attention to the local, national, regional and global context. ED-24. Residents who supervise or teach medical students, as well as graduate students and postdoctoral fellows in the biomedical sciences who serve as teachers or teaching assistants, must be familiar with the educational objectives of the course or clerkship and be prepared for their roles in teaching and evaluation. ED-25. Supervision of student learning experiences must be provided throughout required clerkships by members of the medical school's faculty. ED-26. The medical school faculty must establish a system for the evaluation of student achievement throughout medical school that employs a variety of measures of knowledge, skills, behaviors, and attitudes. Evaluation of student performance should measure not only retention of factual knowledge, but also development of the skills, behaviors, and attitudes needed in subsequent medical training and practice, and the ability to use data appropriately for solving problems commonly encountered in medical practice. The LCME urges schools to develop a system of evaluation that fosters self-initiated learning by students and disapproves of the use of frequent tests which condition students to memorize details for short-term retention only. ED-27. There must be ongoing assessment that assures students have acquired and can demonstrate on direct observation the core clinical skills, behaviors, and attitudes that have been specified in the school's educational objectives. ED-28. There must be evaluation of problem solving, clinical reasoning, and communication skills. ED-29. The faculty of each discipline should set the standards of achievement in that discipline. ED-30. The directors of all courses and clerkships must design and implement a system of formative and summative evaluation of student achievement in each course and clerkship. ED-31. Each student should be evaluated early enough during a unit of study to allow time for remediation. ED-32. Narrative descriptions of student performance and of non-cognitive achievement should be included as part of evaluations in all required courses and clerkships where teacher-student interaction permits this form of assessment. At least 80 percent of actual attendance shall be required. The medical school must define and state the methods used for assessment of its students, including the criteria for passing examinations. The reliability and validity of assessment methods should be documented and evaluated and new assessment methods developed. The definition of methods used for assessment may include consideration of the balance between formative and summative assessment, the number of examinations and other tests, the balance between written and oral examinations, the use of normative and criterion referenced judgements, and the use of special types of examinations, e.g. objective structured clinical examinations (OSCE). Evaluation of assessment methods may include an evaluation of how they promote learning. New assessment methods may include the use of external examiners. Assessment principles, methods and practices must be clearly compatible with educational objectives and must promote learning. Adjustment of number and nature of examinations would include consideration of avoiding negative effects on learning. The medical school must establish a mechanism for programme evaluation that monitors the curriculum and student progress, and ensures that concerns are identified and addressed. Programme evaluation should address the context of the educational process, the specific components of the curriculum and the general outcome. Mechanisms for programme evaluation would imply the use of valid and reliable methods and require that basic data about the medical curriculum are available. Involvement of experts in medical education would further broaden the base of evidence for quality of medical education at the institution. Identified concerns would include problems presented to the curriculum committee. The context of the educational process would include the organization and resources as well as the learning environment and culture of the medical school. Specific components of programme evaluation would include course description and student performance. General outcomes would be measured e.g. by career choice and postgraduate performance. Both teacher and student feedback must be systematically sought, analysed and responded to. Teachers and students should be actively involved in planning programme evaluation and in using its results for programme development. Student performance must be analysed in relation to the curriculum and the mission and objectives of the medical school. Student performance should be analysed in relation to student background, conditions and entrance qualifications, and should be used to provide feedback to the committees responsible for student selection, curriculum planning and student counselling. Measures of student performance would include information about average study duration, scores, pass and failure rates at examinations, success and dropout rates, student reports about conditions in their courses, as well as time spent by the students on areas of special interest. Programme evaluation must involve the governance and administration of the medical school, the academic staff and the students. A wider range of stakeholders should have access to results of course and programme evaluation, and their views on the relevance and development of the curriculum should be considered. A wider range of stakeholders would include educational and health care authorities, representatives of the community, professional organisations and those responsible for postgraduate education. ED-33. There must be integrated institutional responsibility for the overall design, management, and evaluation of a coherent and coordinated curriculum. -- Faculty, student, and administrative participation. -- Expertise in curricular design, pedagogy, and evaluation methods. -- Empowerment, through bylaws or decanal mandate, to work in the best interests of the institution without regard for parochial or political influences, or departmental pressures. --Logical sequencing of the various segments of the curriculum. -- Content that is coordinated and integrated within and across the academic periods of study (horizontal and vertical integration). -- Methods of pedagogy and student evaluation that are appropriate for the achievement of the school's educational objectives. -- Evaluation of program effectiveness by outcomes analysis, using national norms of accomplishment as a frame of reference. -- Monitoring of content and workload in each discipline, including the identification of omissions and unwanted redundancies. -- Review of the stated objectives of individual courses and clerkships, as well as methods of pedagogy and student evaluation, to assure congruence with institutional educational objectives. Minutes of the curriculum committee meetings and reports to the faculty governance and deans should document that such activities take place and should show the committee's findings and recommendations. ED-34. The program's faculty must be responsible for the detailed design and implementation of the components of the curriculum. Such responsibilities include, at a minimum, the development of specific course or clerkship objectives, selection of pedagogical and evaluation methods appropriate for the achievement of those objectives, ongoing review and updating of content, and assessment of course and teacher quality. ED-35. The objectives, content, and pedagogy of each segment of the curriculum, as well as for the curriculum as a whole, must be subject to periodic review and revision by the faculty. ED-36. The chief academic officer must have sufficient resources and authority to fulfill the responsibility for the management and evaluation of the curriculum. The dean often serves as the chief academic officer, with ultimate individual responsibility for the design and management of the educational program as a whole. He or she may, however, delegate operational responsibility for curriculum oversight to a vice dean or associate dean. --Adequate numbers of teachers who have the time and training necessary to achieve the program's objectives. --Appropriate teaching space for the methods of pedagogy employed in the educational program. --Appropriate educational infrastructure (computers, audiovisual aids, laboratories, etc.). --Educational support services, such as examination grading, classroom scheduling, and faculty training in methods of teaching and evaluation. -- Support and services for the efforts of the curriculum management body and for any interdisciplinary teaching efforts that are not supported at a departmental level. The chief academic officer must have explicit authority to ensure the implementation and management of the educational program, and to facilitate change when modifications to the curriculum are determined to be necessary. ED-37. The faculty committee responsible for the curriculum must monitor the content provided in each discipline so that the school's educational objectives will be achieved. The committee, working in conjunction with the chief academic officer, should assure that each academic period of the curriculum maintains common standards for content. Such standards should address the depth and breadth of knowledge required for a general professional education, currency and relevance of content, and the extent of redundancy needed to reinforce learning of complex topics. The final year should complement and supplement the curriculum so that each student will acquire appropriate competence in general medical care regardless of subsequent career specialty. ED-38. The committee should give careful attention to the impact on students of the amount of work required, including the frequency of examinations and their scheduling. The medical school must have a policy on student representation and appropriate participation in the design, management and evaluation of the curriculum, and in other matters relevant to students. Student activities and student organisations should be encouraged and facilitated. Student activities and organisations would include student selfgovernment and representation on educational committees and other relevant bodies as well as social activities. ED-39. The medical school's chief academic officer must be responsible for the conduct and quality of the educational program and for assuring the adequacy of faculty at all educational sites. ED-40. The principal academic officer of each geographically remote site must be administratively responsible to the chief academic officer of the medical school conducting the educational program. ED-41. The faculty in each discipline at all sites must be functionally integrated by appropriate administrative mechanisms. Schools should be able to demonstrate the means by which faculty at dispersed sites participate in and are held accountable for medical student education that is consistent with the objectives and performance expectations established by course or clerkship leadership. Mechanisms to achieve functional integration may include regular meetings or electronic communication, periodic visits to all sites by course or clerkship leadership, and sharing of course or clerkship evaluation data and other types of feedback regarding faculty performance of their educational responsibilities. ED-42. There must be a single standard for promotion and graduation of students across geographically separate campuses. ED-43. The parent school must assume ultimate responsibility for the selection and assignment of all medical students when geographically separated campuses are operated. ED-44. Students assigned to all campuses should receive the same rights and support services. ED-45. Students should have the opportunity to move among the component programs of the school. ED-46. To guide program improvement, medical schools must evaluate the effectiveness of the educational program by documenting the extent to which its objectives have been met. ED-47. In assessing program quality, schools must consider student evaluations of their courses and teachers, and an appropriate variety of outcome measures. Among the kinds of outcome measures that serve this purpose are data on student performance, academic progress and program completion rates, acceptance into residency programs, postgraduate performance, and practice characteristics of graduates. ED-48. Medical schools must evaluate the performance of their students and graduates in the framework of national norms of accomplishment. The parent institution must assume responsibility for assuring the integrity of all clinical experiences regardless of the location in which they occur, including determining that adequate supervision is provided in all clerkships. The medical school must define the competencies that students should exhibit on graduation in relation to their subsequent training and future roles in the health system. The linkage of competencies to be acquired by graduation with that to be acquired in postgraduate training should be specified. Measures of, and information about, competencies of the graduates should be used as feedback to programme development. Educational outcome would be defined in terms of the competencies the students must acquire before graduation. Competencies within medicine and medical practice would include knowledge and understanding of the basic, clinical, behavioural and social sciences, including public health and population medicine, and medical ethics relevant to the practice of medicine; attitudes and clinical skills (with respect to establishment of diagnoses, practical procedures, communication skills, treatment and prevention of disease, health promotion, rehabilitation, clinical reasoning and problem solving); and the ability to undertake lifelong learning and professional development. MS-1. Students preparing to study medicine should acquire a broad education, including the humanities and social sciences. Ordinarily, four years of undergraduate education are necessary to prepare for entrance into medical school; however, special programs (e.g., combined baccalaureate-M.D. programs) may allow this to be reduced. General education that includes the social sciences, history, arts, and languages is increasingly important for the development of physician competencies outside of the scientific knowledge domain. MS-2. Premedical course requirements should be restricted to those deemed essential preparation for completing the medical school curriculum. MS-3. The faculty of each school must develop criteria and procedures for the selection of students that are readily available to potential applicants and to their collegiate advisors. MS-4. The final responsibility for selecting students to be admitted for medical study must reside with a duly constituted faculty committee. Persons or groups external to the medical school may assist in the evaluation of applicants but should not have decision-making authority. MS-5. Each medical school must have a pool of applicants sufficiently large and possessing national level qualifications to fill its entering class. --Size of the faculty and the variety of academic fields they represent. --Library and information systems resources. --Number and size of classrooms, student laboratories, and clinical training sites. --The need to share resources to educate graduate students or other students within the university. --The size and variety of programs of graduate medical education. --Responsibilities for continuing education, patient care, and research. MS-6. Medical schools must select students who possess the intelligence, integrity, and personal and emotional characteristics necessary for them to become effective physicians. MS-7. The selection of individual students must not be influenced by any political or financial factors. MS-8. Each medical school should have policies and practices ensuring the gender, racial, cultural, and economic diversity of its students. The standard requires that each school's student body exhibit diversity in the dimensions noted. The extent of diversity needed will depend on the school's missions, goals, and educational objectives, expectations of the community in which it operates, and its implied or explicit social contract at the local, state, and national levels. MS-9. Each school must develop and publish technical standards for admission of handicapped applicants, in accordance with legal requirements. MS-10. The institution's catalog or equivalent informational materials must describe the requirements for the M.D. and all associated joint degree programs, provide the most recent academic calendar for each curricular option, and describe all required courses and clerkships offered by the school. A medical school's publications, advertising, and student recruitment should present a balanced and accurate representation of the mission and objectives of the program. MS-11. The catalog or informational materials must also enumerate the school's criteria for selecting students, and describe the admissions process. The institution shall have and adhere to standards governing admission requirements and student selection and promotion that are consistent with the institution's mission and objectives. Acceptable standards concerning admission requirements and the student selection process are in place and a system is maintained for keeping adequate student records. Although each medical school may restrict its specified premedical course requirements to those courses that are considered essential for success in that curriculum, such requirements may be not be less than those specified in the Commissioner's Regulations. In addition, each institution must maintain adequate student records and student services. Student records should contain summaries of admission credentials, attendance, a measurement of the performance of the student, and the degree to which the student has met the requirements of the medical school curriculum. These records should accurately reflect each student's work and qualifications, and the qualitative evaluation of each student in each course should be part of that record. The admission of students shall be determined through an orderly process using published criteria which shall be uniformly applied. Admission shall take into account the capacity of the student to undertake a course of study and the capacity of the institution to provide the instructional and other support the student needs to complete the program. Admission requirements to a college of medicine or osteopathy shall include the following pre-professional education: 60 semester hours of college study including courses in general chemistry, organic chemistry, biology or zoology, and physics. The medical school must have an admission policy including a clear statement on the process of selection of students. The admission policy should be reviewed periodically, based on relevant societal and professional data, to comply with the social responsibilities of the institution and the health needs of community and society. The relationship between selection, the educational programme and desired qualities of graduates should be stated. The statement on process of selection of students would include both rationale and methods of selection and may include description of a mechanism for appeal. The size of student intake must be defined and related to the capacity of the medical school at all stages of education and training. The needs of community and society may include consideration of balanced intake according to gender, ethnicity and other social requirements, including the potential need of a special admission policy for underprivileged students. Stakeholders would include those responsible for planning and development of human resources in the national health sector. MS-12. Institutional resources to accommodate the requirements of any visiting and transfer students must not significantly diminish the resources available to existing enrolled students. MS-13. Transfer students must demonstrate achievements in premedical education and medical school comparable to those of students in the class that they join. MS-14. Prior coursework taken by students who are accepted for transfer or admission to advanced standing must be compatible with the program to be entered. MS-15. Transfer students should not be accepted into the final year of the program except under rare circumstances. MS-16. The accepting school should verify the credentials of visiting students, formally register and maintain a complete roster of such students, approve their assignments, and provide evaluations to their parent schools. Registration of visiting students allows the school accepting them to establish protocols or requirements for health records, immunizations, exposure to infectious agents or environmental hazards, insurance, and liability protection comparable to those of their own enrolled students. MS-17. Students visiting from other schools for clinical clerkships and electives must possess qualifications equivalent to students they will join in these experiences. Follow the requirements of state and federal laws that require annual reporting with respect to crime statistics and physical plant safety and make those reports available to the public; and (Publish and follow procedures for handling student complaints, disciplinary actions, and appeals. A programme of student support, including counselling, must be offered by the medical school. Counselling should be provided based on monitoring of student progress and should address social and personal needs of students. Social and personal needs would include academic support, career guidance, health problems and financial matters. MS-18. The system of academic advising for students must integrate the efforts of faculty members, course directors, and student affairs officers with the school's counseling and tutorial services. MS-19. There must be a system to assist students in career choice and application to residency programs, and to guide students in choosing elective courses. MS-20. If students are permitted to take electives at other institutions, there should be a system centralized in the dean's office to review students' proposed extramural programs prior to approval and to ensure the return of a performance appraisal by the host program. MS-21. The process of applying for residency programs should not disrupt the general medical education of the students. Students should not be exempted from any required educational experiences or assessment exercises in order to pursue other activities intended to enhance their likelihood of obtaining a desired residency position. MS-22. Letters of reference or other credentials should not be provided until the fall of the student's final year. MS-23. A medical school must provide students with effective financial aid and debt management counseling. In providing financial aid services and debt management counseling, schools should pay close attention and alert students to the impact of non-educational debt on their cumulative indebtedness. MS-24. Schools should develop financial aid resources that minimize total student indebtedness. MS-25. Institutions must have clear and equitable policies for the refund of tuition, fees, and other allowable payments. MS-26. Each school must have an effective system of personal counseling for its students that includes programs to promote the well-being of students and facilitate their adjustment to the physical and emotional demands of medical school. MS-29. Medical schools should follow accepted guidelines in determining appropriate immunizations for medical students. Medical schools in the U.S. should follow guidelines issued by the Centers for Disease Control and Prevention, along with those of relevant state agencies. Canadian schools should follow guidelines of the Laboratory Center for Disease Control and relevant provincial agencies. MS-30. Schools must have policies addressing student exposure to infectious and environmental hazards. The policies should include 1) education of students about methods of prevention; 2) the procedures for care and treatment after exposure, including definition of financial responsibility; and 3) the effects of infectious and environmental disease or disability on student learning activities. All registered students (including visiting students) need to be informed of these policies before undertaking any educational activities that would place them at risk. MS-31. In the admissions process and throughout medical school, there should be no discrimination on the basis of gender, sexual orientation, age, race, creed, or national origin. MS-32. Each medical school must define and publicize the standards of conduct for the teacher-learner relationship, and develop written policies for addressing violations of those standards. The standards of conduct need not be unique to the school but may originate from other sources such as the parent university. Mechanisms for reporting violations of these standards -- such as incidents of harassment or abuse -- should assure that they can be registered and investigated without fear of retaliation. The policies also should specify mechanisms for the prompt handling of such complaints, and support educational activities aimed at preventing inappropriate behavior. MS-33. The medical school must publicize to all faculty and students its standards and procedures for the evaluation, advancement, and graduation of its students and for disciplinary action. MS-34. There must be a fair and formal process for taking any action that adversely affects the status of a student. The process should include timely notice of the impending action, disclosure of the evidence on which the action would be based, an opportunity for the student to respond, and an opportunity to appeal any adverse decision related to promotion, graduation, or dismissal. MS-35. Student records must be confidential and available only to members of the faculty and administration with a need to know, unless released by the student or as otherwise governed by laws concerning confidentiality. MS-36. Students must be allowed to review and challenge their records. MS-37. Schools should assure that students have adequate study space, lounge areas, and personal lockers or other secure storage facilities. The recruitment and development of a medical school's faculty should take into account its mission, the diversity of its student body, and the population that it serves. There must be a sufficient number of faculty members in the subjects basic to medicine and in the clinical disciplines to meet the needs of the educational program and the other missions of the medical school. In determining the number of faculty needed for the educational program, medical schools should consider that faculty may have educational and other responsibilities in academic programs besides medicine. In the clinical sciences, the number and kind of faculty appointed should also relate to the amount of patient care activities required to conduct meaningful clinical teaching across the continuum of medical education. Persons appointed to a faculty position must have demonstrated achievements commensurate with their academic rank. Members of the faculty must have the capability and continued commitment to be effective teachers. Effective teaching requires knowledge of the discipline and an understanding of curriculum design and development, curriculum evaluation, and methods of instruction. Faculty members involved in teaching, course planning and curricular evaluation should possess or have ready access to expertise in teaching methods, curriculum development, program evaluation, and student evaluation. Such expertise may be supplied by an office of medical education or by faculty/staff members with backgrounds in educational science. Faculty involved in the development and implementation of a course, clerkship, or larger curricular unit should be able to design the learning activities and corresponding evaluation methods (student and program) in a manner consistent with the school's stated educational objectives and sound educational principles. Community physicians appointed to the faculty, on a part-time basis or as volunteers, should be effective teachers, serve as role models for students, and provide insight into contemporary methods of providing patient care. --Documented participation of the faculty in professional development activities related specifically to teaching and evaluation. --Attendance at regional or national meetings on educational affairs. --Evidence that faculty members' knowledge of their discipline is current. FA-5. Faculty members should have a commitment to continuing scholarly productivity characteristic of an institution of higher learning. FA-6. The medical school faculty must make decisions regarding student admissions, promotion, and graduation, and must provide academic and career counseling for students. The faculty shall be qualified and sufficient in number to achieve the objectives of the institution. A "qualified" faculty member is a person who possesses either a credential generally recognized in the field of instruction or a degree, professional license, or credential at least equivalent to the level of instruction being taught or evaluated. The institution shall have a formal ongoing faculty development process that will enable it to fulfill its mission and objectives. The faculty is composed of a sufficient number of representatives of the biological, behavioral, and clinical sciences to implement the objectives of the institution. Since the composition of the faculty relates directly to the objectives and goals of the school, it is the responsibility of that institution to provide a sufficient number of faculty of appropriate quality to assure that the educational obligations to the students are fulfilled. In order to meet these obligations, the faculty must have demonstrated competence in the biological, behavioral, and clinical sciences. The competence of the faculty to offer the courses and to discharge other academic responsibilities that are assigned to them shall be demonstrated by training, earned degrees, scholarships, experience, teaching ability and the ability to advance knowledge. All members of the faculty shall have demonstrated by training, earned degrees, scholarship, experience, and by classroom performance or other evidence of teaching potential, their competence to offer the courses and discharge the other academic responsibilities which are assigned to them. To foster and maintain continuity and stability in academic programs and policies, there shall be in the institution, a sufficient number of faculty members who serve full-time at the institution. For each curriculum, the institution shall designate a body of faculty who, with academic officers of the institution, shall be responsible for setting curricular objectives, for determining the means by which achievement of objectives is measured, for evaluating the achievement of curricular objectives, and for providing academic advice to students. The faculty shall be sufficient in number to assure breadth and depth of instruction and the proper discharge of other faculty responsibilities. The ratio of faculty to students in each course shall be sufficient to assure effective instruction. At least one faculty member teaching in each curriculum culminating in a bachelor's degree shall hold an earned doctorate in an appropriate field, unless the Commissioner determines that the curriculum is in a field of study in which other standards are appropriate. All faculty members who teach within a curriculum leading to a graduate degree shall possess earned doctorates or other terminal degrees in the field in which they are teaching or shall have demonstrated, in other widely recognized ways, their special competence in the field in which they direct graduate students. The teaching and research of each faculty member, in accordance with the faculty member's responsibilities, shall be evaluated periodically by the institution. The teaching of each inexperienced faculty member shall receive special supervision during the initial period of appointment. Each member of the faculty shall be allowed adequate time, in accordance with the faculty member's responsibilities, to broaden professional knowledge, prepare course materials, advise students, direct independent study and research, supervise teaching, participate in institutional governance, and carry out other academic responsibilities appropriate to his/her position, in addition to performing assigned teaching and administrative duties. The medical school must have a staff recruitment policy which outlines the type, responsibilities and balance of academic staff required to deliver the curriculum adequately, including the balance between medical and non-medical academic staff, and between full-time and part-time staff, the responsibilities of which must be explicitly specified and monitored. A policy should be developed for staff selection criteria, including scientific, educational and clinical merit, relationship to the mission of the institution, economic considerations and issues of local significance. Balance of academic staff/faculty would include staff with joint responsibilities in the basic and clinical sciences, in the university and health care facilities, and teachers with dual appointments. Issues of local significance may include gender, ethnicity, religion, language and others of relevance to the school. Merit can be measured by formal qualifications, professional experience, research output, teaching experience, peer recognition, etc. The medical school must have a staff policy which addresses a balance of capacity for teaching, research and service functions, and ensures recognition of meritorious academic activities, with appropriate emphasis on both research attainment and teaching qualifications. The staff policy should include teacher training and development and teacher appraisal. Teacher-student ratios relevant to the various curricular components and teacher representation on relevant bodies should be taken into account. Service functions would include clinical duties in the health care system, administrative and leadership functions etc. Recognition of meritorious academic activities would be by rewards, promotion and/or remuneration. There must be clear policies for faculty appointment, renewal of appointment, promotion, granting of tenure, and dismissal that involve the faculty, the appropriate department heads, and the dean. A medical school should have policies that deal with circumstances in which the private interests of faculty members or staff may be in conflict with their official responsibilities. Faculty members should receive written information about their terms of appointment, responsibilities, lines of communication, privileges and benefits, and, if relevant, the policy on practice earnings. They should receive regularly scheduled feedback on their academic performance and their progress toward promotion. Feedback should be provided by departmental leadership or, if relevant, other institutional leadership. FA-11. Opportunities for professional development must be provided to enhance faculty members' skills and leadership abilities in education and research. The dean and a committee of the faculty should determine medical school policies. This committee, which typically consists of the heads of major departments, may be organized in any manner that brings reasonable and appropriate faculty influence into the governance and policymaking processes of the medical school. Schools should assure that there are mechanisms for direct faculty involvement in decisions related to the educational program. Important areas where direct faculty involvement is expected include admissions, curriculum development and evaluation, and student promotions. Faculty members also should be involved in decisions about any other mission-critical areas specific to the school. Strategies for assuring direct faculty participation may include peer selection or other mechanisms that bring a broad faculty perspective to the decision-making process, independent of departmental or central administration points of view. The quality of an educational program may be enhanced by the participation of volunteer faculty in faculty governance, especially in defining educational goals and objectives. The full faculty should meet often enough for all faculty members to have the opportunity to participate in the discussion and establishment of medical school policies and practices. The LCME must be notified of any substantial change in the number of students enrolled or in the resources of the institution, including the faculty, physical facilities or the budget. The present and anticipated financial resources of a medical school must be adequate to sustain a sound program of medical education and to accomplish other institutional goals. The costs of conducting an accredited program leading to the M.D. degree should be supported from diverse sources, such as income from tuition, endowments, earnings by the faculty, support from the parent university, annual gifts, grants from organizations and individuals, and appropriations by government. Evidence for compliance with this standard will include documentation of adequate financial reserves to maintain the educational program in the event of unexpected revenue losses, and demonstration of effective fiscal management of the medical school budget. Pressure for institutional self-financing must not compromise the educational mission of the medical school nor cause it to enroll more students than its total resources can accommodate. Reliance on student tuition should not be so great that the quality of the program is compromised by the need to enroll or retain inappropriate numbers of students or students whose qualifications are substandard. The medical school must have adequate financial resources for the size and scope of its educational program. The institution shall possess sufficient financial resources to accomplish its mission and objectives. Financial resources are available that allow the institution to conduct its program in a satisfactory manner. Financial support should be sufficient to enable the institution to achieve its objectives, and a system of financial management must be in place that will not compromise the effective operation of the medical program. The institution shall possess the financial resources necessary to accomplish its mission and the purpose of each registered curriculum. A medical school must have, or be assured use of, buildings and equipment appropriate to achieve its educational and other goals. The medical school facilities should include offices for faculty, administrators, and support staff; laboratories and other space appropriate for the conduct of research; student classrooms and laboratories; lecture hall(s) sufficiently large to accommodate a full year's class and any other students taking the same courses; space for student use, including student study space; space for library and information access; and space for the humane care of animals when animals are used in teaching or research. Appropriate security systems should be in place at all educational sites. The institution shall have, or have access to, facilities, laboratories, equipment and library resources that are sufficient to support the educational programs offered by the institution and to enable it to fulfill its mission and objectives. If an institution utilizes affiliated institutions to provide clinical instruction, the institution shall be fully responsible for the conduct and quality of the educational program at those affiliated institutions. Facilities, including buildings and equipment, or access to them, are provided that are quantitatively and qualitatively adequate to facilitate the maximum productivity of faculty and students in fulfilling the objectives of the school. In the basic sciences, these facilities should include sufficient faculty offices, laboratories, student classrooms and laboratories, and libraries. The institution shall provide classrooms, faculty offices, auditoria, laboratories libraries, audio-visual and computer facilities, clinical facilities, studios, practice rooms, and other instructional resources sufficient in number design, condition, and accessibility to support the objectives dependent on their use and provide equipment sufficient in quantity and quality to support instruction, research and student performance. The medical school must have sufficient physical facilities for the staff and the student population to ensure that the curriculum can be delivered adequately. The learning environment for the students should be improved by regular updating and extension of the facilities to match developments in educational practices. Physical facilities would include lecture halls, tutorial rooms, laboratories, libraries, information technology facilities, recreational facilities, etc. The medical school must have, or be assured use of, appropriate resources for the clinical instruction of its medical students. Clinical resources should be sufficient to ensure breadth and quality of ambulatory and bedside teaching. They include adequate numbers and types of patients (acuity, case mix, age, gender, etc) as well as physical resources. A hospital or other clinical facility that serves as a major site for medical student education must have appropriate instructional facilities and information resources. Appropriate instructional facilities include areas for individual student study, for conferences, and for large group presentations (lectures). Sufficient information resources, including library holdings and access to other library systems, must either be present in the facility or readily available in the immediate vicinity. A sufficient number of computers are needed that allow access to the Internet and to other educational software. Call rooms and lockers, or other secure space to store personal belongings, should be available for student use. Required clerkships should be conducted in health care settings where resident physicians in accredited programs of graduate medical education, under faculty guidance, participate in teaching the students. It is understood that there may not be resident physicians at some community hospitals, community clinics, and the offices of community-based physicians. In that case, medical students must be adequately supervised by attending physicians. There must be written and signed affiliation agreements between the medical school and its clinical affiliates that define, at a minimum, the responsibilities of each party related to the educational program for medical students. Written agreements are necessary with hospitals that are used regularly as inpatient sites for core clinical clerkships. Additionally, affiliation agreements may be warranted with other clinical sites that have a significant role in the clinical education program. --The assurance of student and faculty access to appropriate resources for medical student education. --The primacy of the medical school over academic affairs and the education/evaluation of students. --The role of the medical school in appointment/assignment of faculty members with responsibility for medical student teaching. --Specification of the responsibility for treatment and follow-up when students are exposed to infectious or environmental hazards or other occupational injuries. If department heads of the school are not also the clinical service chiefs at affiliated institutions, the affiliation agreement must confirm the authority of the department head to assure faculty and student access to appropriate resources for medical student education. The LCME should be advised of anticipated changes in affiliation status of a program's clinical facilities. ER-10. In the relationship between the medical school and its clinical affiliates, the educational program for medical students must remain under the control of the school's faculty. Regardless of the location where clinical instruction occurs, department heads and faculty must have authority consistent with their responsibility for the instruction and evaluation of medical students. The responsibility of the clinical facility for patient care should not diminish or preclude opportunities for medical students to undertake patient care duties under the appropriate supervision of medical school faculty and residents. The medical school should have affiliation agreements with each teaching hospital or clinical facility it uses that define the responsibilities of each party. The medical school must also have access to adequate clinical resources to provide for the clinical instruction of its medical students. Regardless of whether the clinical facilities are operated by the parent institution or are located at some distance from the parent institution and are operated by other authorities, precise agreements of cooperation must be established which clearly define the responsibilities of each party. The medical school must ensure adequate clinical experience and the necessary resources, including sufficient patients and clinical training facilities. The facilities for clinical training should be developed to ensure clinical training which is adequate to the needs of the population in the geographically relevant area. Clinical training facilities would include hospitals (adequate mix of primary, secondary and tertiary), ambulatory services, clinics, primary health care settings, health care centres and other community health care settings as well as skills laboratories. Facilities for clinical training should be evaluated regularly for their appropriateness and quality regarding medical training programmes. The medical school must have access to well-maintained library and information facilities, sufficient in size, breadth of holdings, and information technology to support its education and other missions. There should be physical or electronic access to leading biomedical, clinical, and other relevant periodicals, the current numbers of which should be readily available. The library and other learning resource centers must be equipped to allow students to access information electronically, as well as to use self-instructional materials. The library and information services staff must be responsive to the needs of the faculty, residents and students of the medical school. A professional staff should supervise the library and information services, and provide instruction in their use. The library and information services staff should be familiar with current regional and national information resources and data systems, and with contemporary information technology. Both school officials and library/information services staff should facilitate access of faculty, residents, and medical students to information resources, addressing their needs for information during extended hours and at dispersed sites. The medical school must have a library sufficient in size, breadth, and depth to support the educational program and adequately and professionally staffed. The institution shall provide libraries that possess and maintain collections sufficient in depth and breadth to support the mission of the institution and each registered curriculum. Libraries shall be administered by professionally trained staff supported by sufficient personnel. Library services and resources shall be available for student and faculty use with sufficient regularity and at appropriate hours to support the mission of the institution and the curricula it offers. The medical school must have a policy which addresses the evaluation and effective use of information and communication technology in the educational programme. Teachers and students should be enabled to use information and communication technology for selflearning, accessing information, managing patients and working in health care systems. A policy regarding the use of computers, internal and external networks and other means of information and communication technology would include coordination with the library services of the institution. The use of information and communication technology may be part of education for evidence-based medicine and in preparing the students for continuing medical education and professional development. of professional instruction equivalent to that required by Section 2089 and issuance to the applicant of a document acceptable to the division that shows final and successful completion of the course. However, nothing in this section shall be construed to require the division to evaluate for equivalency any coursework obtained at a medical school disapproved by the division pursuant to this section. Official transcripts or other official evidence satisfactory to the Division of Licensing of compliance with Section 2088. United States or Canada. However, nothing in this section shall be construed to require the division to evaluate for equivalency any coursework obtained at a medical school disapproved by the division pursuant to Article 4 (commencing with Section 2080). Official evidence satisfactory to the division of completion of all formal requirements of the medical school for graduation, except the applicant shall not be required to have completed an internship or social service or be admitted or licensed to practice medicine in the country in which the professional instruction was completed. No hospital licensed by this state, or operated by the state or a political subdivision thereof, or which receives state financial assistance, directly or indirectly, shall require an individual who at the time of his or her enrollment in a medical school outside the United States is a citizen of the United States, to satisfy any requirements other than those contained in subdivisions (a), (b), (c), (d), and (e) of Section 2103 prior to commencing the postgraduate training required by subdivision (f), which are not required for graduates of approved medical schools located in the United States or Canada. (a) The Legislature intends that the Division of Licensing shall have the authority to substitute postgraduate education and training to remedy deficiencies in an applicant's medical school education and training. The Legislature further intends that applicants who substantially completed their clinical training shall be granted that substitute credit if their postgraduate education took place in an accredited program. (b) To meet the requirements for licensure set forth in Sections 2089 and 2089.5, the Division of Licensing may require an applicant under this article to successfully complete additional education and training. In determining the content and duration of the required additional education and training, the division shall consider the applicant's medical education and performance on standardized national examinations, and may substitute approved postgraduate training in lieu of specified undergraduate requirements. Postgraduate training substituted for undergraduate training shall be in addition to the year of postgraduate training required by Sections 2102 and 2103.